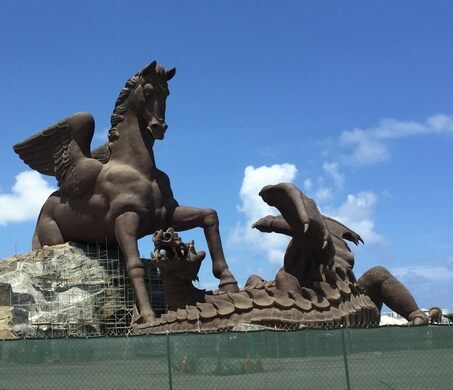 A larger-than-life mythological scene greets anyone who happens to glance toward a Florida casino. Even from a distance, it’s hard to miss the two behemoth beasts fighting at its entrance. 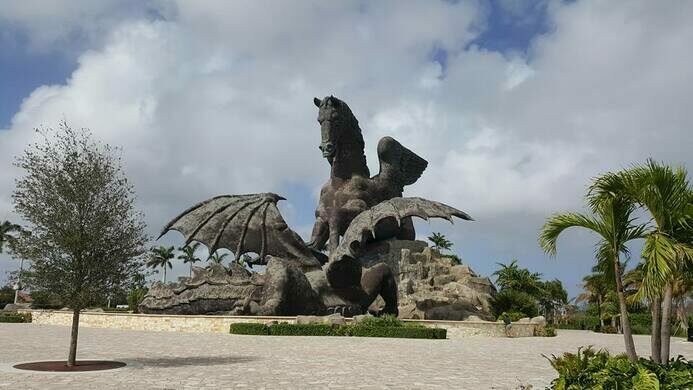 Pegasus, with his wings pulled taut over his muscled shoulders, stamps a mighty hoof down onto the dragon slinking at his feet, crushing the monster in an epic defeat. 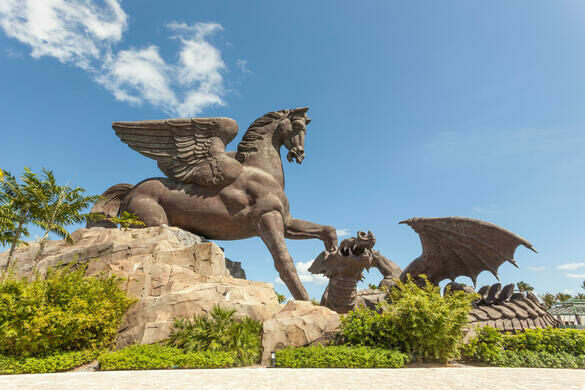 Pegasus and Dragon is an eye-catching attraction at Gulfstream Park, a racetrack and casino in Hallandale Beach, Florida. At a staggering 110 feet tall and weighing more than 700 tons, it’s no surprise the artwork clocks in as the second-tallest statue in the contiguous United States. 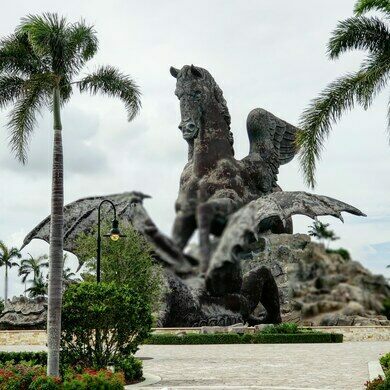 Pegasus is thought to be the largest bronze equine statue in the world. Creating the mythical scene cost about $30 million. It was built to add an extra pinch of pizzazz to the entertainment compound. 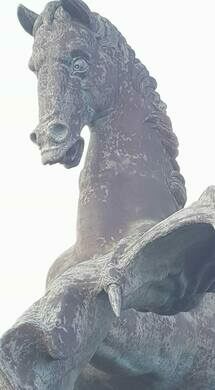 Supposedly, Pegasus’ defiant defeat of the doomed dragon symbolizes a victory in the enduring fight of good against evil. The statue’s symbolism is a bit ironic, given its place within a hub for gambling and other vices. 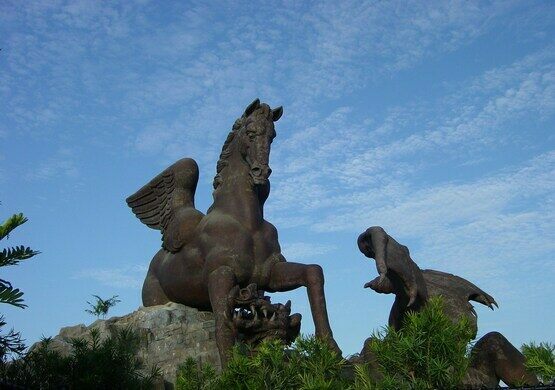 To both the amusement and annoyance of locals, the enormous statue becomes an even greater spectacle in the evenings. A light and laser show uses bursts of colorful water to illuminate the beasts. Fog hisses as flames seem to erupt from the dragon’s mouth while music blares from hidden speakers in an over-the-top spectacle. A gaudy painted elephant stands in memory of south Florida's fallen carnies.